If you desire luxury living in Miami, FL, consider the amazing lifestyle that awaits at 3000 Williams Island. This opulent 32 story condominium tower sits on magnificent Williams Island, in Aventura, Florida. Here, residents find respite from the busy downtown Miami area north of the city to find quiet, privacy and an exceptional lifestyle. Condos at 3000 Williams Island for sale include boutique style services like 24 hour valet parking, a community concierge service, and poolside attendants. Both the island and the tower provide 24 hour security to help ensure your safety and to maintain the privacy for which the area is known. When you live in one of this building’s 181 sensational units, it gives you access to amenities at your doorstep. On-site amenities include a resort-style heated pool, sun deck with lounges and umbrellas, a spa, modern fitness center, business center, clubhouse and more. Living on Williams Island also gives residents the ability to take part in island activities and five-star resort style amenities like 16 tennis courts, a beautiful walking trail, waterfront dog park, and two marinas. The island is also home to the prestigious Williams Island Club with its brand new $5 million European style spa. This 84 acre paradise offers the first-class lifestyle you deserve. The 3000 Williams Island condos for sale are extraordinarily convenient, located midway between Miami and Fort Lauderdale. There’s easy access to Interstate 95 and the airports of both cities are less than 30 minutes away. Aventura has its own array of fine dining and upscale shopping choices, including the massive Aventura Mall. You are encouraged to learn more about Williams Island and 3000 Williams Island condos for sale. If you have questions or would like a tour from Williams Island experts, please contact us. Each of the floor plans of the 3000 Williams Island condos for sale takes advantage of the tower’s waterfront location. Soaring windows and expansive terraces allow residents priceless views when dining, entertaining, relaxing, or just enjoying a morning cup of coffee. Select from two to four bedroom floor plans on a choice of 32 floors that rise into the Florida sunshine. Each condominium exudes its own personality with a series of premium upgrades ranging from marble floors and counter tops to spa-like bathrooms. Many condominiums at 3000 Williams Island for sale have been upgraded to include smart appliances and other smart conveniences. Condominiums at 3000 Williams Island, like the building itself, have unique architectural elements that set each apart. View our listings and schedule a tour of the 3000 Williams Island condominium of your choice today. Live at 3000 Williams Island and have access to layers of first-class amenities both at your front door and throughout this 84 acre oasis. Take the elevator down to the residents-only, resort-style pool and deck area where attendants assist with lounge chairs, umbrella and towels. Sink into a Jacuzzi and relax the stress of the day away. Walk the manicured grounds or stroll to the South Marina. This extraordinary building has a state-of-the-art fitness center, a productive work center and a well-appointed community clubhouse for resident events and parties. This pet friendly building includes 24 hour drive-up valet service and concierge service. The community provides 24 hour security to better protect you and your privacy. Living at this island community also gives residents access to world-class amenities like the exclusive, Williams Island Club. This limited member club allows members the ability to take advantage of the new 27,000 square foot European-style spa with a range of therapeutic treatments and rejuvenating massages. Choose from the seasonal fine dining menu at Club Prime or socialize, dine or network at Williams Island Cafe. Those who live on Williams Island can take advantage of two professionally-staffed marinas with docking capabilities for up to 160 foot yachts and seven foot draft. The island is noted for its active tennis club with 16 lighted courts, 12 of which are clay. Williams Island community-wide amenities include a scenic biking/walking trail that winds around the island. There’s a fenced-in dog park along the waterfront where pets can play unleashed. Kids will enjoy the Tot-Lot, a children’s play area. Williams Island is also host to many social events throughout the year, with access provided by an island shuttle service. All of these amenities contribute to what is known as “island life”. Williams Island is conveniently located in Aventura, Florida, just north of Miami off Interstate 95. This places it halfway between Miami and Fort Lauderdale which are about a 20 minute drive north and south. This places it close to the nightlife of South Beach and Downtown Miami. The best theatrical and concert performances are a short drive away as are the professional sports teams of South Florida. Aventura is a vibrant community with an active arts community and a broad selection of dining and shopping options. Shop at brand names like Cartier, Breitling, Gucci, Brooks Brothers, and Mont Blanc at the expansive, upscale Aventura Mall. The city has a variety of boutiques and shops for those seeking unique shopping experiences. Dining options are available that range from deli carryout to fine cuisines from around the world. Choose from highly rated golf courses in the area including Turnberry or dine or shop and place a bet at nearby Gulfstream Park and Casino. When you choose one of the 3000 Williams Island condos for sale you not only benefit from a wide selection of amenities, but you have chosen a South Florida location that is second to none. As Williams Island experts, we know once you sample what this luxurious community has to offer, you too will recognize what others have. You too will see that Williams Island is home to a superior, resort-like lifestyle. 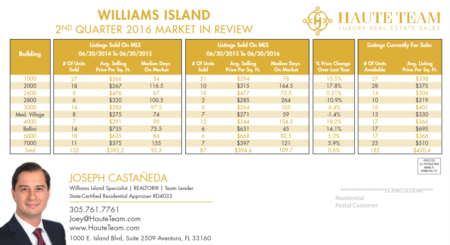 We have the knowledge, data and experience to assist you in choosing one of the 3000 Williams Island condos for sale that is the right one for your real estate goals. 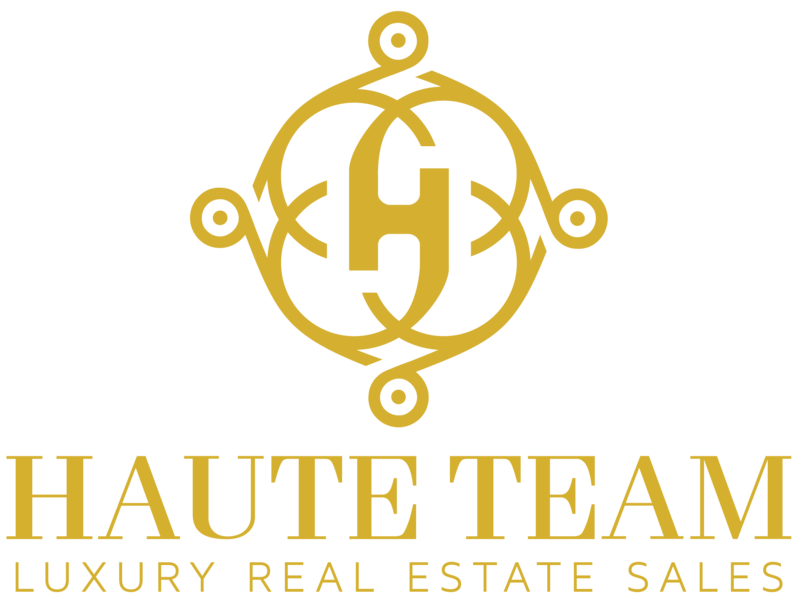 Our team of real estate professionals speak English, Spanish, Portuguese, French, Russian, Turkish and Hebrew to better serve you. We operate with discretion and under the highest of ethical standards. We invite you to review our current listings at 3000 Williams Island and our other island opportunities. We would then encourage you to contact us. We look forward to assisting you.